The 1809 half cent is not a truly common coin, but enough examples survive in circulated grades to make this a collectable issue. Five obverse dies and five reverse dies were combined to create six marriages. 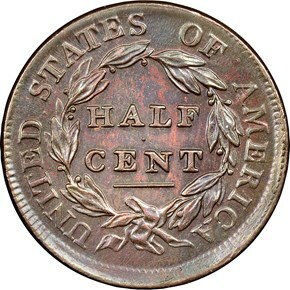 That having numeral 9 punched over an inverted 9 (C-5) is described in the next entry. 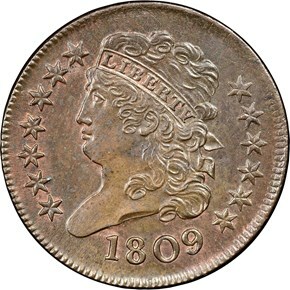 The only other notable variety for 1809 features an obverse die on which the zero of the date was punched over a smaller zero that remains visible within it (C-4). Moderately scarce, this variety carries a premium starting with the higher circulated grades. Among the die marriages having a normal date, only C-1 is rare, though C-2 is moderately scarce. C-3 is one of the common varieties. 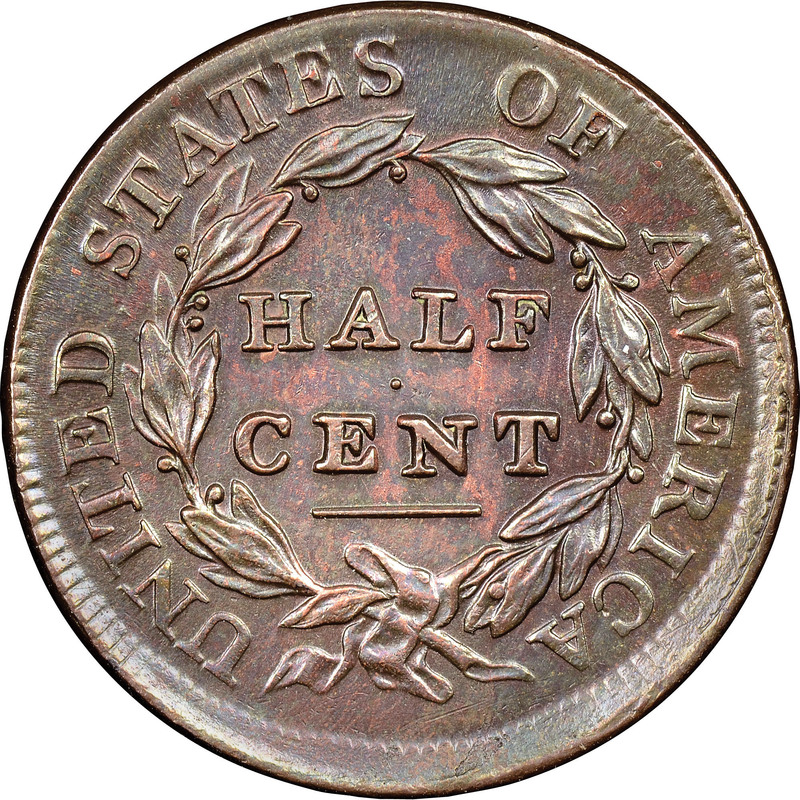 Mint State 1809 half cents are rare for any variety.